In 1998, Eddie Lang persuaded the California legislature to designate Route 40 between Reno and San Francisco as Historic Route 40. Together with Trish Gray, the duo designed the signs and a program where local businesses could donate funds to have a sign erected near their business along the route. The signs can now be found throughout the California route and is a popular route for motorcycle clubs and other travel enthusiasts. I propose that we, as Coloradans, do the same thing for the stretch of U.S. Route 40 that runs through our state, which includes Colfax Avenue. 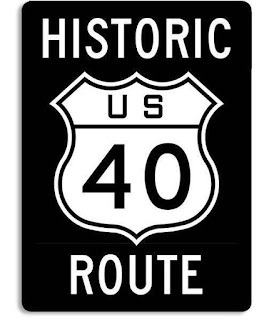 HistoricRoute40.com, a website devoted to the Historic Route 40 project, is in development. 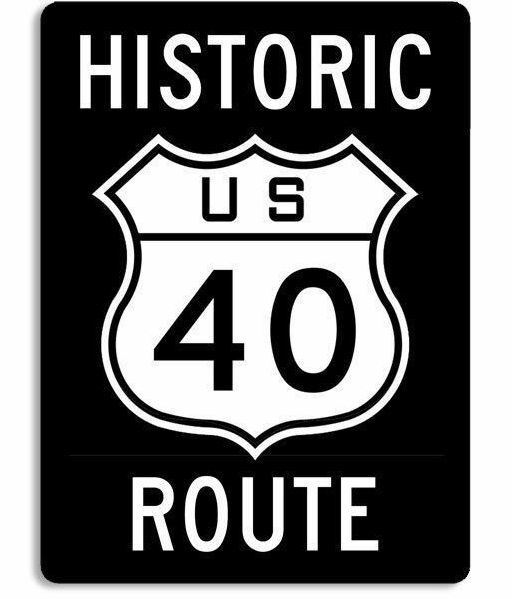 First receiving its' designation in 1926, Historic Route 40 went all the way from Atlantic City, New Jersey, to San Francisco, California. Route 40 also ran the full length of Colfax Avenue on its' route from Aurora, Colorado, to the Rocky Mountains. I have been traveling the historic route lately collecting photographs, postcards, and memorabilia, so check back here soon! Thanks! Love your fun and funky website celebrating Colfax Ave . . . but apparently you folks are not aware (?) that between 1937-68 US36 also ran down Colfax to terminate at Broadway (later I-25). US36 was (and is) a highway equally historic with US40. Between Uhrichsville OH and Norton KS it constituted the middle third of the transcontinental "Pikes Peak Ocean to Ocean" Highway that crossed the mountains through Colo. Springs. The highway remains as a two-lane drive back in time over much of its length (1,400+ miles, now from Estes Park to eastern Ohio. One other note: In your history of Colfax Ave there is a statement that there was "not a better choice" than US40 for a transcontinental journey. That is not the case. The Lincoln Highway (US30), farther north, was more heavily traveled, better known, and was the easier route chosen for the transcontinental telegraph, railroad, and, eventually Interstate 80. Early iterations of what became US40 (and other highways that crossed the Rockies)were often impassable several months of the year.